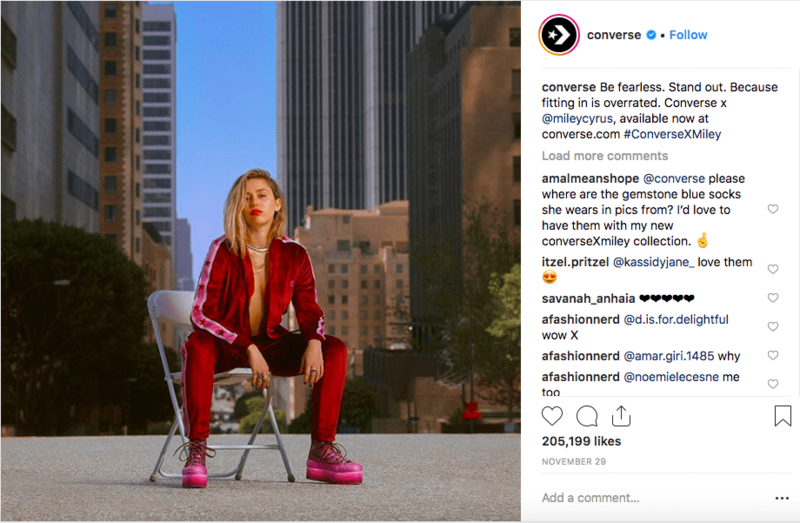 Iconic vegan Miley Cyrus proves time and time again that you can both love fashion and show compassion to animals – without compromising on style. Here’s Totally Vegan Buzz’s pick of her top 5 looks donning vegan fashion. Miley owned these looks while promoting her new single “Nothing Breaks Like a Heart” with Mark Ronson in London in December 2018. The star choose an all-black colour scheme donning vegan fur and leather throughout her London tour. Labelled ‘forward-looking’ by Vogue, Miley wore a mini-skirt and handbag by Chanel – the luxury fashion brand which recently ditched fur and animal skin, and Stella McCartney’s high boots. The passionate celeb was also seen posing with fans in vintage faux fur by Vivienne Westwood and vegan leather cowboy boots by Casadei. Miley looked chic in a black low-cut halter gown by vegan fashion designer Stella McCartney at the Met Gala in May this year. 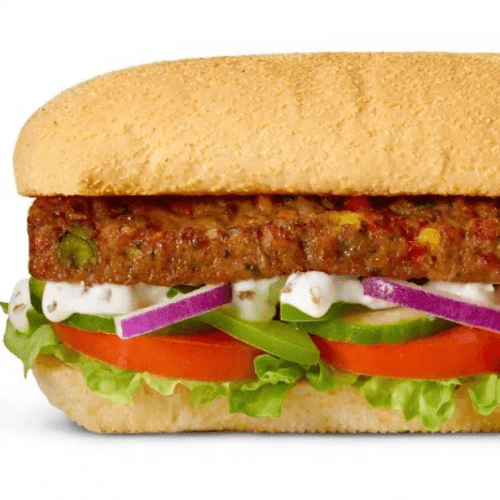 In support of vegan friendly sustainable fashion, the musician collaborated with footwear giant Converse to release a line of vegan shoes and apparels which she designed herself – right down to the shoelaces. 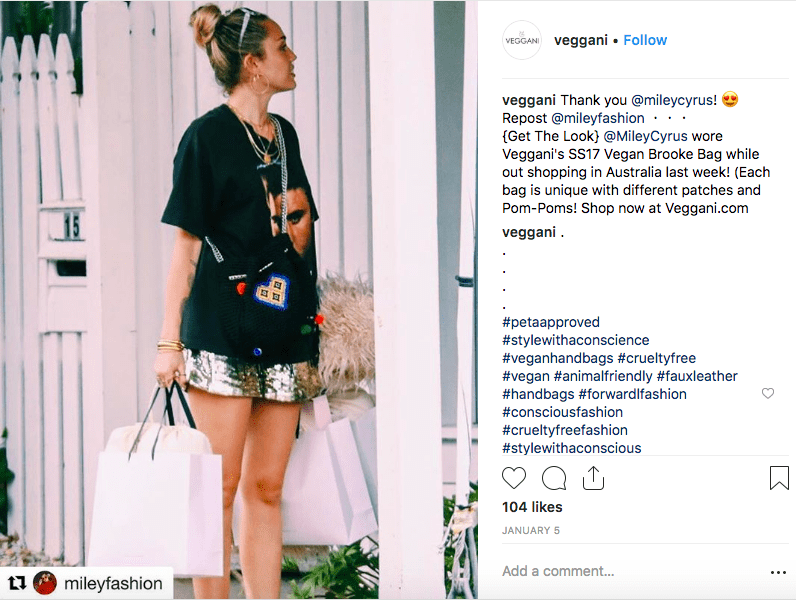 While shopping in Australia earlier this year, Miley looked casual sporting this vegan handbag by Veggani, which is priced under $100 by a brand supporting eco-friendly sustainable fashion. Cyrus made a style statement in her Cosmopolitan cover shoot last year by wearing these gorgeous Mary-Jane satin pink shoes from cruelty-free brand Beyond-Skin. What’s your favourite look from Miley’s vegan closet? Tell us in comments section below!